Been outside in the northern hemisphere in the last two months? You’ve probably noticed that recent temperatures are at all-time highs. This global heat wave has been intense! 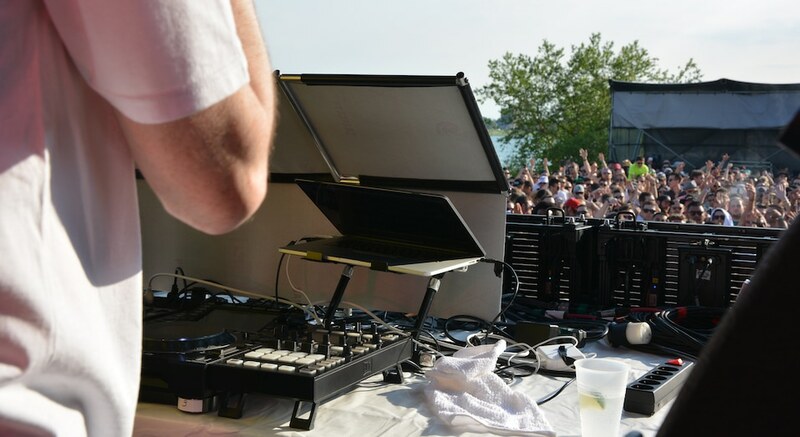 But just because temperatures are heating up doesn’t mean that summer gigs for DJs cool down. 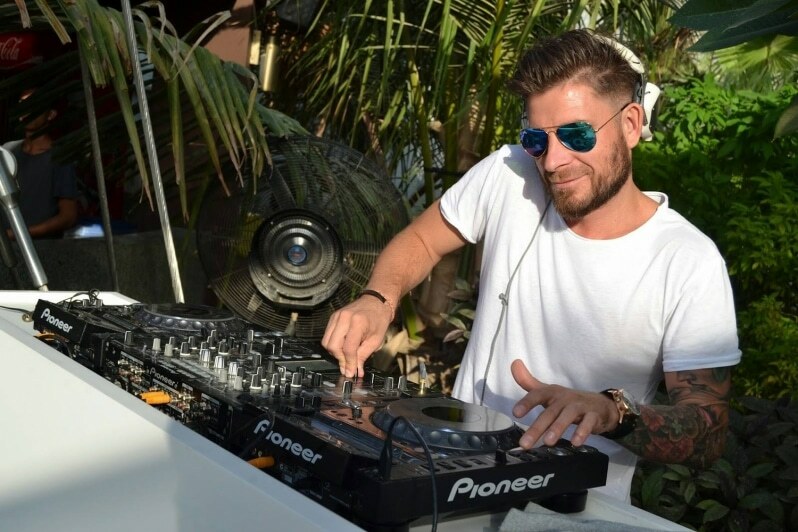 In today’s article, we suggest a few tips to prepare to use your DJ gear in hot environments, make sure it keeps working, and take care of yourself when playing that 5 hour outdoor party in 100% humidity weather. Pop up tents are incredibly popular with mobile DJs who play outdoor gigs, and for good reason: almost every problem cause by heat/sun can be abated with a good tent. Trust us, get the nice tent. If you’re using a laptop or an all-in-one controller, you’ll want to be sure that they don’t overheat. 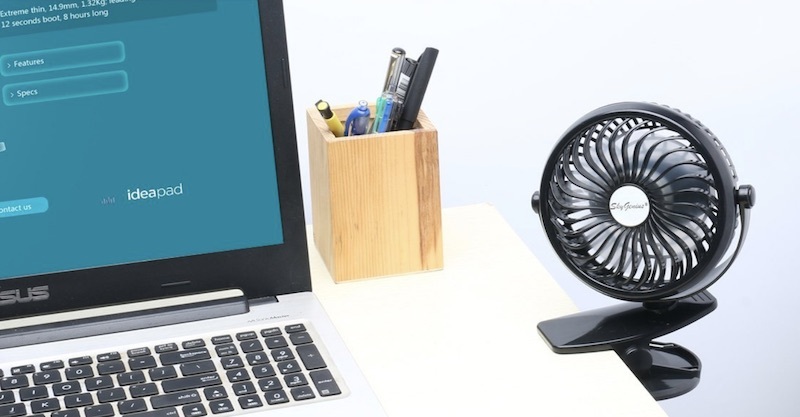 Many laptops have mediocre cooling solutions, often sacrificing cooling for design. As such, it’s common for laptops to only be rated for a max ambient temperature of ~95º. 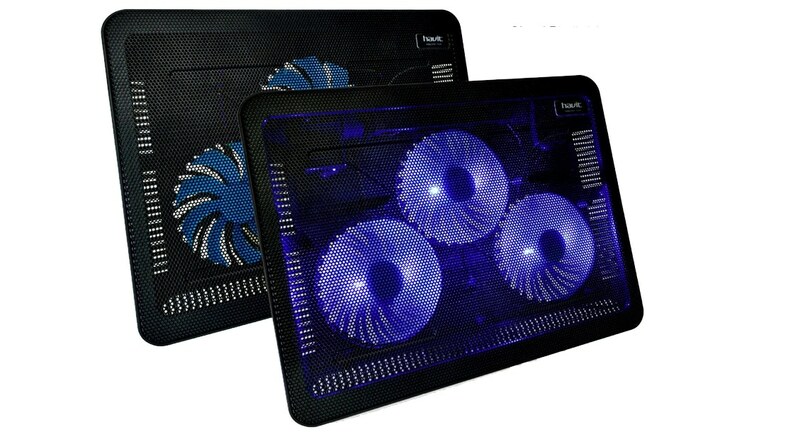 These fan cooling pads for laptops can work for DJ gear too! Some DJs have alternative approaches including using ice – I’d recommend being very careful when using your electronics around melting ice. 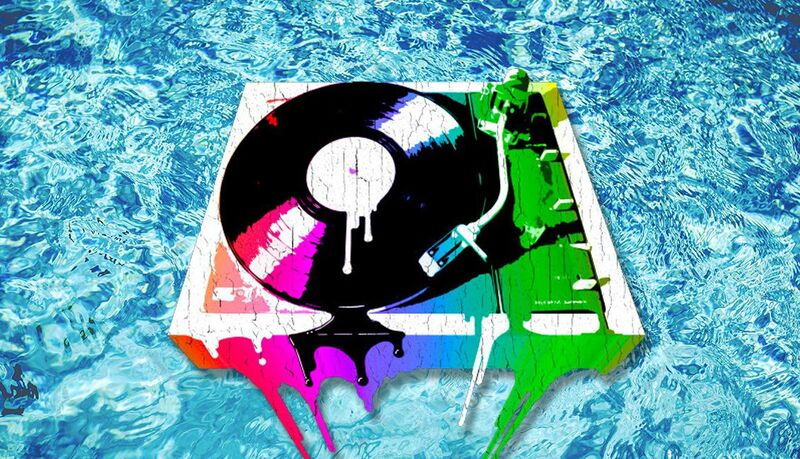 If it melts, you’re in danger of getting liquid into your DJ equipment. I use a block of dry ice wrapped in the plastic bag is comes in, then put a microfiber cloth around the whole thing, and put my computer on top of this dry ice towel wrap. It works in the hot Las Vegas 114 degree summer heat, while DJing pool parties. 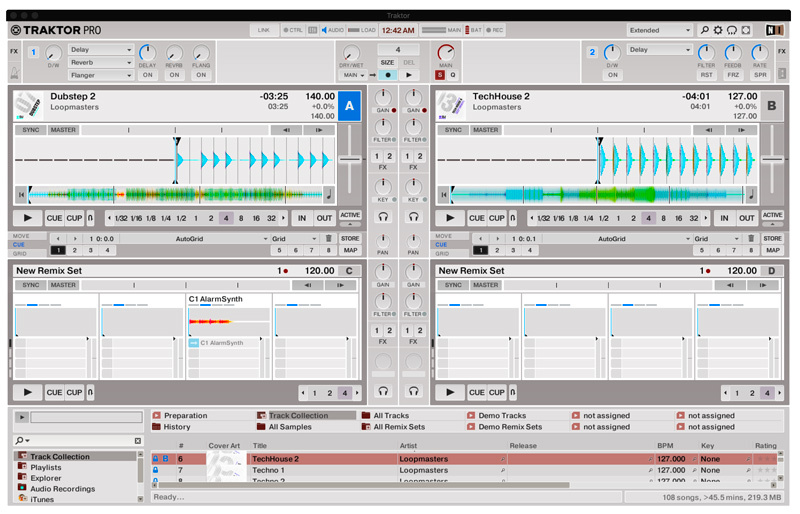 Traktor might look weird with inverted colors normally, but this can be a lifesaver in direct sun. In direct sunlight, it can be REALLY hard to see your laptop’s screen, especially if you’re using dark-colored DJ software. Here’s a really simple trick to fix it: invert your screen colors. Even if you’re under a bit of shade or a tent, it’s not uncommon to have lateral sunlight coming in at certain times of the day that can make it hard to see screens on your devices. That’s the reasoning for Console Shades, a higher-end product designed to keep lighting, sound, and performance rigs covered in daytime events. Be warned, pricing for the 48″ DJ variety starts at $279. Of course, we suspect it wouldn’t be too hard to make a DIY version of this with some fabric, a piece of wood, and a laptop stand. Don’t have anything like that? Find someone with a sunshade in their car and try to attach it to the DJ booth in a not-too-crappy looking way and reflect those rays! Even if you can’t fashion a DIY shade solution, consider putting something under your gear to tilt if forward to reduce glare. This will have the added side effect of allowing some air underneath, which helps keep devices running cooler. Your gear won’t look quite as melted as this fire damaged gear, but direct sunlight can be really damaging over long periods to DJ gear. Here’s a lesson I learned all too well last summer. Played an outdoor wedding gig, and left the equipment (XDJ-RX) in the sun. I foolishly had put a Decksaver on it – which normally would be a great instinct. However, in direct sunlight, the Decksaver turned into an oven, raising the temperature of the unit and melting some of the buttons to the left of the screen. The result? It was impossible to load tracks from a USB because you couldn’t hit the “USB 1” or “USB 2” buttons – they had melted away from their contact points with the PCB. Have you ever had speakers, amps, or even DJ gear like CDJs/mixers overheat during a hot gig? It might be hard to tell what’s happening at first unless you have a specific “overheat” indicator, but if you’re pushing a lot of power through something and the ambient air temperature is high, this could be reason why things start dying with no reason. Set your Speakers in the Shade whenever possible. Most all DJs use powered speakers these days, and they have a tendency to overheat in summer conditions. 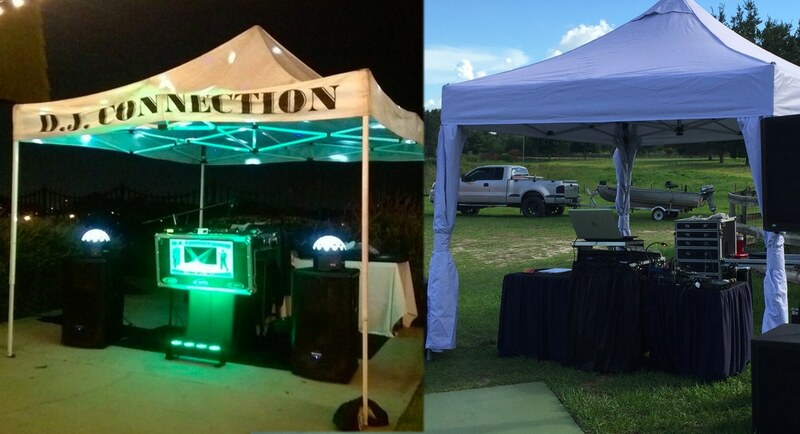 Whenever we set outdoor events, we try to set the Speaker placement in shady areas, under structures or Trees to avoid direct sunlight. You can also have a fan directly on the back of the speaker for cooling. For myself, I have an ice vest. 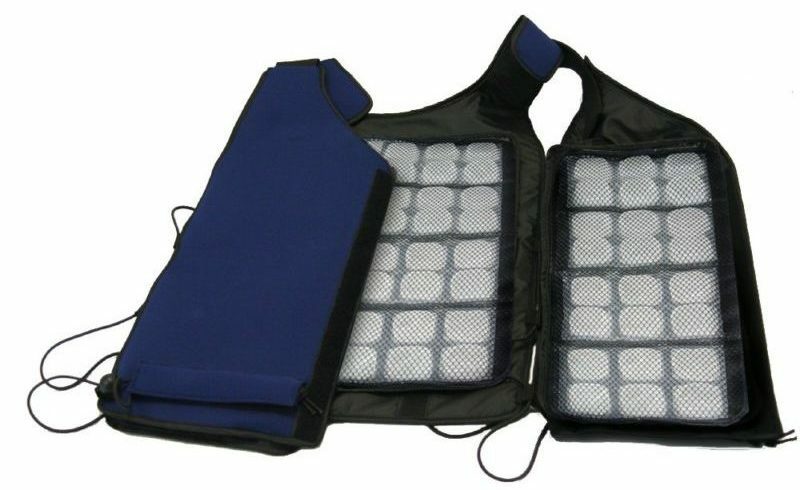 Just google Ice vest or cooking vest and you can find one that uses gel ice packs (not the evaporative kind, because you will only get wet and uncomfortable, and possibly drip on your expensive electronics. Your own personal cooler: an ice vest. Do you have more tips for beating the heat while still playing your DJ gigs?